At J.D. 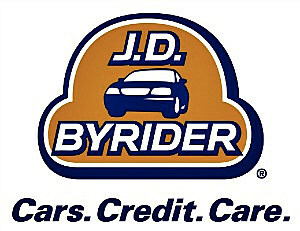 Byrider, we do buy here pay here differently. When you visit our dealership, you’ll find quality and care you won’t find anywhere else. With our fast and easy approval process, low down payments, affordable bi-weekly payments, and excellent warranty and service packages, you’ll want to join the over 1 million customers who have gotten back on the road with J.D. Byrider.